We're very lucky here at Industrial: we spend our days working with exciting new digital technology. We love building user-centric solutions: we balance user experience design with the vast capabilities that technology provides us. We’re lucky for another reason: we deploy those solutions for great people. One area that we spend much of our time working is member data. Our clients are non-profits, private corporations, and associations across Canada. If you're a non-profit, association, sports organization, union, or any organization that represents or manages a group of people, you likely have (or need) a tool that helps you manage your members. The need for member data management has spawned an entire industry of software companies. They are called "Association Management Systems," or "AMS" for short. Back in May I wrote an article on "Why you're right to hate your Association Management System software". It's a good read on the background of AMS solutions, what they're trying to do, and the issues we see. On the surface, the AMS promises sound great, really. One software that can do everything? For one price? That's the AMS sales pitch: "One software to rule them all..." Or, "everything you need in one environment..."
Do these promises sound too good to be true? Yes. They create data silos. All of your data in one software sounds great, but what if another software application needs to access it? AMSs tend to be built with limited access...They hold your data inside their walls, and you need to come back to them every time another application wants to use it. They don't integrate well with your existing website. Some AMSs want to host your entire website and bring you within their ecosystem. Others want to create a separate "member website" for your users to "self-service." But none of them are good at direct integration to your existing website, where you house your core content, and likely already have some type of "member login" functionality. They try to do too much. At its core, an AMS is focused on managing and reporting on your member data, and some do deliver. But how can that same software company have the best event management solution, the best online forums, and the best email distribution tool? They can't. There are software companies that do just one of those things, and are very good at it. One company can't possibly be the best at everything, and that's exactly the case with every AMS solution on the market. They focus only on the member. That's not a horrible thing necessarily; after all, members are the key driver of associations and other member-driven organizations. But what about the non-members who are key users and contributors? They could be membership administrators, board members, educators, policy-makers, and so on. The typical AMS focuses only on the member: onboard them, renew them, service them. Forward-thinking organizations think beyond the individual member. They work towards creating associations across all users. They don't understand user experience design. The bigger the AMS, the less focus they have on user experience design. User experience design focuses on reducing friction: how can the user complete the task with the least amount of friction? Most AMS providers focus only on function: make sure I provide this function to the customer so I can check off a box in my feature list. They're expensive. These solutions are big: they take over the core management of your organization's data and become the touchpoint for your members with your organization. With that comes a high price tag. Typical deployments easily get into 6-figures, and monthly or annual licensing fees can quickly get unmanageable. wicket.io is Industrial's answer to "the AMS problem." It's been percolating for years and is the result of our extensive experience working with organizations in the non-profit and private sectors alike. What are our goals with wicket.io? We want to take the walls down around your data, and open it up for full access from you, or from others you authorize. It's your data, after all, and is critical to your success. We want you to be able to connect your data with any other application that needs to use it. We want your members to feel like gold when they interact with your digital presence and feel the value of their membership; let's keep them coming back. Technology is expensive, and we want to provide a solution that is attainable by varying sizes of organizations. API stands for "application programming interface." It's a technical term used in software development and essentially means "to provide access to the software application via code." Why is this important? It allows software applications to "talk" to each other behind the scenes, without imposing a jarring experience on the user. "API-first" is a method of software development where the entire application is developed as an API. This means the software itself is invisible to the end user, and instead simply provides an interface for other applications to interface with it. If we set out to build a full-featured AMS we'd need to build not only a member database system, but also email distribution, event management, document management, discussion forums, e-learning, survey management, and so on. We have no intention of doing that. Our focus is on the core member/user lifecycle, and for all other functionality, simply allow for connectedness with best-of-breed 3rd party applications that are the best at what they do. Our model is founded on integration. When we talk about API-first that really boils down to ensuring strong integration possibiliites with other applications. This also includes your website. 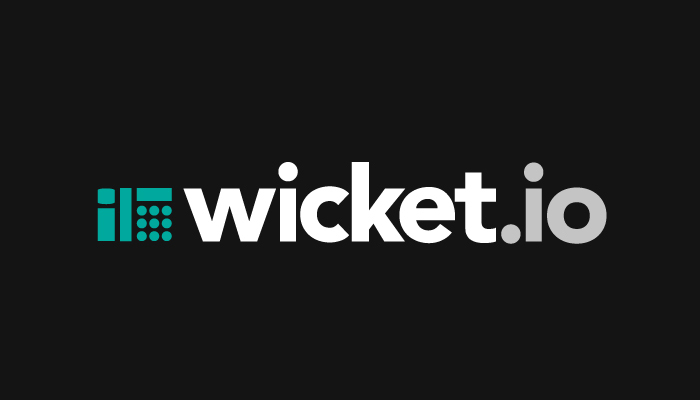 We are desigining wicket.io to seamlessly integrate with your existing website so you can give your members the best possible online experience. We are strong believers in open-source technology platforms and will leverage them across all facets of wicket.io. Behind the scenes, a powerful database engine will power the data layer and provide for blazing-fast reporting and searching. The core API application layer is built on an opensource framework. The front-end administrative interface will be fully responsive (mobile-friendly). All of these technologies align with our core belief in the use of only the most modern, open-source, developer-supported technology stacks. We're not building wicket.io in a silo. We are building an advisory board through a consortium of organizations with varying membership models. This consortium will help to define the core features, and give our team exposure to varying models of member data storage, 3rd party application needs, and member touch points. This is where your staff will spend their time working with your data, managing it, reporting on it, searching it. It will be a modern, mobile-friendly interface, highly focused on user experience and reducing the friction for common, day-to-day tasks. To start, we're focusing on integrating wicket.io with websites running the Drupal content management system. As part of this work we're developing a series of Drupal open-source modules that will allow for common tasks like logging into a members area, member profile management, membership onboarding, membership renewal, and member directory. wicket.io will integrate with other applications that have been built using the same modern, API-first model. These include applications like MailChimp, SurveyMonkey, Eventbrite, Discourse, and Alfresco, to name a few. Each integration will meet unique requirements, and will flow data back and forth between the member data in wicket.io and the application-specific data in the 3rd party app. When will wicket.io be ready? wicket.io is under active development by our team of technologists and user experience designers. We are currently targeting a release in the 2nd Quarter of 2016. This release will include a functional Administrative Panel, Drupal website modules for integration, and select 3rd party application integrations. Leaders or executives from non-profits who are starting to question their current AMS/member data solution and want to find a better way. If you fit this group, you're already budgeting for a new solution in the 2016 calendar year. Leaders or executives from non-profits, association management consultants, board members, or technology consultants that work with these organizations every day. You may not need wicket.io now, but you're knowledgeable about the challenges being faced and want to get involved. Either of those sound like you? If so get in touch with Jeff Horne, Founder and CEO at Industrial at jeff@industrialagency.ca or 613-290-8221. We're moving quickly with wicket.io, and love to talk about it with anyone that shares our passion.